Summary: Two of our greatest challenges in the 21st century are climate change and management of economic crises. They’re similar in that their mathematics are unlike that of the normal life — the routine world of averages, variances, and bell-curve distributions. These phenomena take us deep into the mysteries of science. Before we can predict the future on the basis of the changes we’ve made to our physical and social environments, we must understand the range of changes in the past (extreme weather, financial bubbles, depressions) — events which will reoccur, eventually, even if the world were to (somehow) remain unchanged. In a sense we must prepare for the past before we prepare for the new futures. Rather than grapple with these complex matters, our political manipulators seek to paint simple pictures of the world. Oversimplified portraits drawn in fear and greed that make us easy to lead — which give us the illusion of knowledge, feeding our ignorance, blinding us to the wonders of our strange world. Today we look at two articles describing math essential to understand both financial bubbles and weather. These allow us to understand something about our past so that we can prepare for the future: extreme events dominate history, and will largely frame the future. More about this tomorrow. — John W. Campbell Jr., Analog Science Fiction/Fact Magazine (1965). (A) Simple definitions of important concepts. (1) Complex systems: systems with a large number of mutually interacting parts, often open to their environment, which self-organize their internal structure and their dynamics with novel and sometimes surprising macroscopic “emergent” properties. Climate and finance are complex systems. (2) Power law distribution: a specific family of statistical distribution appearing as a straight line in a log-log plot. Power laws often have no well-defined mean or variance. Many aspects of nature and society display power-law relationships. (3) Black Swan events: Rare, high-impact, and difficult-to-predict events that live in the tails of the probability distribution, beyond the average of history (as in science and finance). Such events are non-computable using standard scientific methods. (4) Dragon-kings: events even beyond the fat tails of the probability distribution. Their extreme outcomes dominate historical results. For explanations of these things we turn to two articles by Didier Sornette, Prof of Entrepreneurial Risks at Swiss Federal Institute of Technology Zurich (Wikipedia bio). (B) The rare but ugly extreme results from complex systems. A central property of a complex system is the possible occurrence of coherent large-scale collective behaviors with a very rich structure, resulting from the repeated non-linear interactions among its constituents: the whole turns out to be much more than the sum of its parts. Most complex systems around us exhibit rare and sudden transitions, that occur over time intervals that are short compared to the characteristic time scales of their posterior evolution. Such extreme events express more than anything else the underlying “forces” usually hidden by almost perfect balance and thus provide the potential for a better scientific understanding of complex systems. These crises have fundamental societal impacts and range from large natural catastrophes such as earthquakes, volcanic eruptions, hurricanes and tornadoes, landslides, avalanches, lightning strikes, catastrophic events of environmental degradation, to the failure of engineering structures, crashes in the stock market, social unrest leading to large-scale strikes and upheaval, economic draw-downs on national and global scales, regional power blackouts, traffic gridlock, diseases and epidemics, etc. There is a growing recognition that progress in most of these disciplines, in many of the pressing issues for our future welfare as well as for the management of our everyday life, will need such a systemic complex system and multidisciplinary approach. 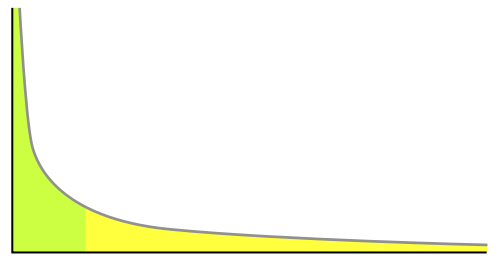 Power law distributions incarnate the notion that extreme e vents are not exceptional 9-sigma events (to refer to the terminology using the Gaussian bell curve and its standard deviation σ as the metric to quantify deviations from the mean). Instead, extreme events should be considered as rather frequent and part of the same organization as the other events. In this view, a great earthquake is just an earthquake that started small — and did not stop; it is inherently unpredictable due to its sharing of all the properties and characteristics of smaller events (except for its size), so that no genuinely informative precursor can be identified. Are power laws the whole story? The following examples suggest that some extreme events are even “wilder” than predicted by the extrapolation of the power law distributions. They can be termed “outliers” or even better “kings”. According to the definition of the Engineering Statistical Handbook , “An outlier is an observation that lies an abnormal distance from other values in a random sample from a population.” Here, we follow Laherrere and Sornette and use the term “king” to refer to events which are even beyond the extrapolation of the fat tail distribution of the rest of the population. We propose that these kings may reveal an information which is complementary and perhaps sometimes even more important than the power law pdf. Indeed, it is essential to realize that the long-term behavior of these complex systems is often controlled in large part by these rare catastrophic events: the universe was probably born during an extreme explosion (the “big-bang”); the nucleosynthesis of all important atomic elements constituting our matter results from the colossal explosion of supernovae; the largest earthquake in California repeating about once e very two centuries accounts for a significant fraction of the total tectonic deformation; landscapes are more shaped by the “millenium” flood that moves large boulders than by the action of all other eroding agents; the largest volcanic eruptions lead to major topographic changes as well as severe climatic disruptions; evolution is characterized by phases of quasi-statis interrupted by episodic bursts of activity and destruction; financial crashes can destroy in an instant trillions of dollars; political crises and revolutions shape the long-term geopolitical landscape; even our personal life is shaped on the long run by a few key “decisions/happenances”. … Standard models and simulations of scenarii of extreme events are subject to numerous sources of error, each of which may have a negative impact on the validity of the predictions. Some of the uncertainties are under control in the modelling process; they usually involve trade-offs between a more faithful description and manageable calculations. Other sources of errors are beyond control as they are inherent in the modeling methodology of the specific disciplines. The two known strategies for modelling are both limited in this respect : analytical theoretical predictions are out of reach for most complex problems, while brute force numerical resolution of the equations (when they are known) or of scenarii is reliable in the “center of the distribution”, i.e. in the regime far from the extremes where good statistics can be accumulated. Crises are extreme events that occur rarely, albeit with extraordinary impact, and are thus completely under-sampled and poorly constrained. 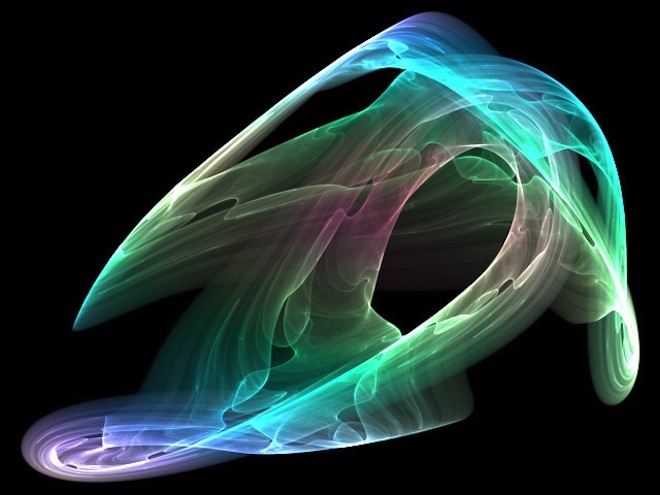 Systems with a large number of mutually interacting parts, often open to their environment, self-organize their internal structure and their dynamics with novel and sometimes surprising macroscopic (“emergent”) properties. The complex system approach, which involves “seeing” inter- connections and relationships, i.e., the whole picture as well as the component parts, is nowadays pervasive in modern control of engineering devices and business management. It also plays an increasing role in most of the scientific disciplines, including biology (biological networks, ecology, evolution, origin of life, immunology, neurobiology, molecular biology, etc), geology (plate-tectonics, earthquakes and volcanoes, erosion and landscapes, climate and weather, environment, etc. ), economy and social sciences (including cognition, distributed learning, interacting agents, etc.). There is a growing recognition that progress in most of these disciplines, in many of the pressing issues for our future welfare as well as for the management of our everyday life, will need such a systemic complex system and multidisciplinary approach. This view tends to replace the previous “analytical” approach, consisting of decomposing a system in components, such that the detailed understanding of each component was believed to bring understanding in the functioning of the whole. One of the most remarkable emergent properties of natural and social sciences is that they are punctuated by rare large events, which often dominate their organization and lead to huge losses. This statement is usually quantified by heavy-tailed distributions of event sizes. Power law distributions incarnate the notion that extreme events are not exceptional events. Instead, extreme events should be considered to be rather frequent and to result from the same organization principle(s) as those generating other events: because they belong to the same statistical distribution, this suggests common generating mechanism(s). … If events of large impacts are part of a population described by a power law distribution, the common wisdom is that there is no way to predict them because nothing distinguish them from their small siblings: their great sizes and impacts come out as surprises, beyond the realm of normal expectations. This is the view expounded for instance by Bak and co-workers in their formulation of the concept of self-organized criticality. This is also the concept espoused by the “Black Swan Theory”, which views high-impact rare events as unpredictable. We have presented supporting evidence for the concept that meaningful outliers (called “dragon-kings”) coexist with power laws in the distributions of event sizes under a broad range of conditions in a large variety of systems. These dragon-kings reveal the existence of mechanisms of self-organization that are not apparent otherwise from the distribution of their smaller siblings. This leads to two consequences, one pessimistic and the other one more optimistic. The first one is the unavoidable evidence that extreme events occur much more often than would be predicted or expected from the observations of small, medium and even large events. Thus, catastrophes and crises are with us all the time. 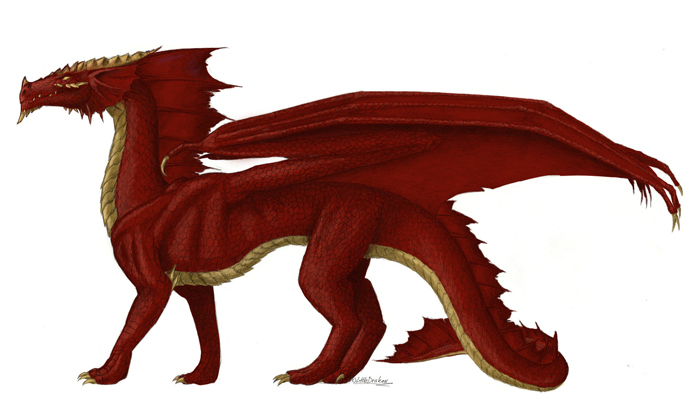 On the other hand, we have argued that the dragon-kings reveal the presence of special mechanisms. These processes provide clues that allow us to diagnose the maturation of a system towards a crisis, as we have documented in a series of examples in various systems. An even simpler approach . . . . . . . Concerning climate change, one thing that’s seldom if ever made known is that the % of Co2 in the atmosphere is .008 of 1%. So far below what would be needed to cause a greenhouse effect that it’s very unlikely to happen. In fact water vapor is much more likely to cause a greenhouse effect and Co2 only rises after water vapor rises. Therefore it’s reasonable to say climate warming is indeed a political issue. The lure of carbon taxes and more control is to much for the governments to resist. Your point is salient about the public’s ignorance about the dynamics of CO2 in warming. It’s far more complex than the propaganda of alarmists, and less well understood by scientists. The comments of the FM website are filled with outraged people, reacting to this knowledge by whines and crying. On the other hand, this is a simplification in the public policy debate. Climate scientists understand these dynamics, moderately well. It’s dealt with in extreme detail in the IPCC’s reports. I am so glad you reference Sornette, although you bury the reference at the end. IMHO, Taleb and his “black swans” are charlatans both. Sornette’s work shows that “dragon kings” (unfortunate term) are rarer than we predict because we use the wrong probability distribution. Taleb excels only in pseudo-scientific mystification and self-contradiction. I haven’t read much of Taleb’s work — just didn’t find it of interest, and so have no opinion on it. But Black Swans are a real phenomenon, and a useful concept. But like most such, have entered the popular lexicon in a vague too-broad way. 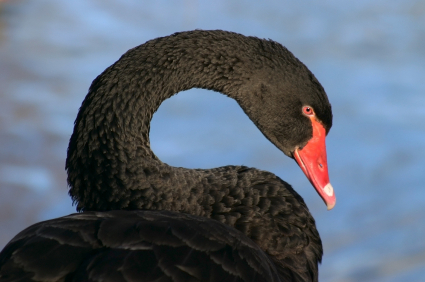 Many things described as Black Swans are not; sometimes they’re the opposite. As for using the wrong probability distribution, that is a serious problem. Sometimes it leads to over-estimation of probability of extreme events — sometimes their underestimation. One of the best-known such is modeling market returns using a normal (Gaussian) distributions — which leads to a substantial underestimation of extreme events, since in fact the tails are much “fatter”. As you note, understanding the likelihood of extreme events — shockwaves — is important. But too often done by sod ail interests and activists, who mislead us.